1.00 The purpose of the Emergency Management Policy is to establish emergency response priorities and an emergency management system at Wilfrid Laurier University. The policy will help ensure the university prepares for and responds effectively to significant emergencies or major disasters through the appropriate use of university and community resources. The reputation of the university. 2.00 Emergency means an event that: Is unforeseen with immediate consequences; threatens to cause, or has caused, substantial property damage, personal injury or distress to the Laurier community; requires the Laurier community to be quickly and properly informed about the event; and may disrupt in a substantive manner the normal operations of the university. 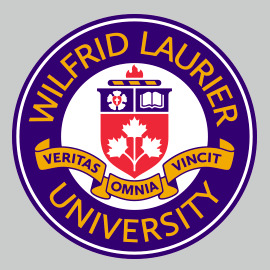 Disaster means a widespread or severe emergency that seriously incapacitates the Wilfrid Laurier University community. This may include an occurrence of a natural catastrophe, technological accident, or human caused event that has resulted in severe property damage, deaths, and/or multiple injuries. Normally, it is widespread and impacts more than Wilfrid Laurier University alone and may require involvement of municipal, provincial, or federal governments. Emergency Manager (EM) means the Vice-President: Finance and Administration at Waterloo Campus and the AVP: Campus Administration and Special Constable Service at Brantford Campus, or their designates. Emergency Operations Group (EOG) is comprised of the Emergency Manager, and/or the Emergency/Site Coordinator, Emergency Management Program Coordinator or designate, together with the Public Affairs Officer and members of the Emergency Support Group (ESG) assigned to an emergency. 3.00 This policy applies to all campuses and locations and all buildings, leased or owned, by Wilfrid Laurier University and to all faculty, staff and students. 4.00 The university shall develop, implement, and continuously improve an Emergency Management system that: is based on the principles of Emergency Management Ontario; meets the needs of the multi-campus structure of the university; and is compatible with the municipal emergency plans for the campus. Please view the Emergency Response Plans for Waterloo Campus, Kitchener Location and Toronto Office, and Brantford Campus. 4.1 The Vice-President: Finance and Administration, or designate, is responsible for the administration, communication and implementation of this policy. 4.2 The Vice-President: Finance and Administration, together with senior management, shall develop, implement and maintain emergency response plans for each university campus or location that takes into account any specific requirements for the campus or location. Each emergency response plan must identify the members of the emergency operations group (EOG) The EOG shall include a representative, or designate, from all administrative units that may need to respond to an emergency. All EOG members will be provided with an up-to-date emergency response plan for the campus. Please view Emergency Response Plans. 4.3 Individuals discovering an incident, emergency or potential emergency must report it immediately to Special Constable Service, Ext. 3333 at the (Waterloo Campus, Kitchener and Toronto locations and Ext. 5888 at the Brantford Campus). 4.4 As required, Special Constable Service will immediately notify the appropriate external emergency services. If the situation constitutes an emergency or disaster as defined in 2.0 of this policy, Special Constable Service must follow the steps set out in the emergency response plan for that campus or location. 4.5 The President, or designate, is responsible for the declaration of an emergency in the event that the emergency response plan is activated. 4.6 Each emergency response plan must have an Emergency Manager (EM). The EM has the authority to act on behalf of the university in all matters including deployment of personnel and equipment as well as financial commitments necessitated by the emergency. 4.7 The Communications and Public Affairs and Marketing will develop and maintain a Crisis Communication Plan. The communication plan will be provided to members of the EOG and any others, as required. The decision to close the university will be made by the President, or designate, normally in consultation with senior administrators. Closing the university is defined as a suspension of classes, examinations and all other activities with the exception of the essential services. Please view policy 7.6 Policy on Severe Weather and Storm.